Elm Tree Early Learning Centres are committed to complying with the requirements of the Privacy Act 1988 as amended from time to time (“Act”). The core requirements of the Act are set out in the National Privacy Principles (“NPPs”). The NPPs set out how an organisation such as Elm Tree Early Learning Centres should collect, uses, keep, secure, and disclose personal information. The NPPs also give individuals a right to know what information an organisation holds about him or her, and a right to correct it if it is wrong. 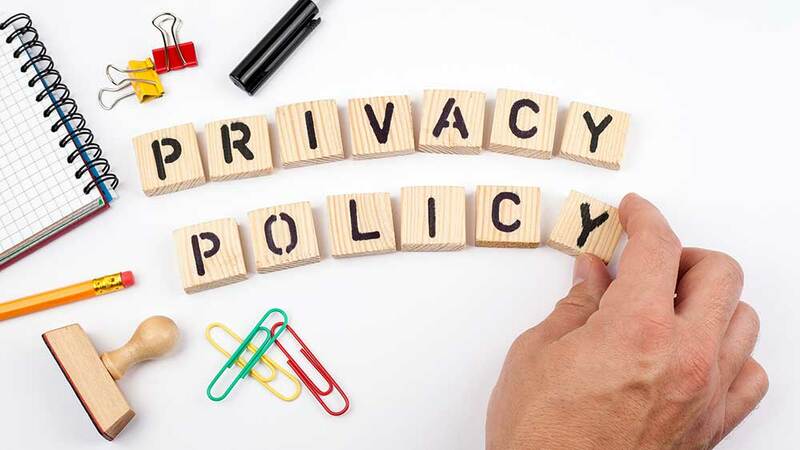 Elm Tree Early Learning Centres Australian Privacy Statement sets out Elm Tree Early Learning Centres policy in Australia for handling personal information collected when dealing with its clients and business partners. From time to time, Elm Tree Early Learning Centres may change its privacy statement. For example, as Elm Tree Early Learning Centres updates and improves its service, new features might require modifications to the statement Elm Tree Early Learning Centres may publish these changes on its websites. What personal information does Elm Tree Early Learning Centres collect? “Personal Information” is any information or opinion from which an individual’s identity can be ascertained. Elm Tree Early Learning Centres collects only the information necessary to provide its services. Elm Tree Early Learning Centres generally collects personal information such as an individual’s name, address, e-mail address, user ID, banking details and date of birth. In most situations, Elm Tree Early Learning Centres collects personal information about an individual directly from the Elm Tree Early Learning Centres client who is employing the individual. Where Elm Tree Early Learning Centres are provided with personal information by its clients, it relies on its clients having obtained the consent of the individual for the collection, use, and disclosure of his or her personal information to and by Elm Tree Early Learning Centres. It also relies on its client’s drawing the points set out in this statement to the individual’s attention. Why does Elm Tree Early Learning Centres collect and use personal information? Elm Tree Early Learning Centres does not collect personal information prior to obtaining the consent of its clients or of the individual(s) involved. We do not sell or rent Personal Data collected through this site to anyone. Elm Tree Early Learning Centres, in using personal information might need to disclose personal information to various organisations and/or parties, such as the Australian Taxation Office, banking/financial institutions, superannuation authorities, health insurance organisations, contracted service providers, business partners, and related companies of Elm Tree Early Learning Centres. Elm Tree Early Learning Centres may also disclose information in special cases when Elm Tree Early Learning Centres believes, in good faith, that such action is reasonably necessary, for example: (a) to conform to legal requirements or comply with legal process; (b) to protect and defend Elm Tree Early Learning Centres rights or property; (c) to enforce Elm Tree Early Learning Centres’ contractual arrangements; or (d) to protect the interests of Elm Tree Early Learning Centres’ clients or others. How Do Elm Tree Early Learning Centres protect personal information? We protect your Personal Data by using industry standard techniques such as firewalls, encryption, intrusion detection and site monitoring. Unfortunately, no data transmission over the Internet can be guaranteed to be 100% secure. As a result, while we strive to protect your Personal Data, we cannot ensure or warrant the security of any information you transmit to us or receive from us. This is especially true for information you transmit to us via e-mail. We have no way of protecting that information until it reaches us. Once we receive your transmission, we make our best effort to ensure its security on our servers. Internally, we will restrict access to your Personal Data to employees who need access to the information in order to do their jobs. These employees are limited in number, and are committed to our privacy policies. Additionally, we will never ask you for your password in an unsolicited phone call or in an unsolicited e-mail. We will review our security arrangements from time to time as we deem appropriate. Elm Tree Early Learning Centres exercise great care to protect personal information that it holds. This includes, among other things, using industry-standard techniques such as firewalls, encryption, intrusion detection, and site monitoring. Internally, Elm Tree Early Learning Centres restricts access to personal information to employees or parties who need access to the information in order to do their jobs. These employees or parties are limited in number, and are committed to maintaining confidentiality. Some Elm Tree Early Learning Centres sites, like many other commercial web sites, may utilise a standard technology called “cookies” to collect information about how our site is used. Cookies were designed to help a web site operator determine that a particular user had visited the site previously and thus save and remember any preferences that may have been set while the user was browsing the site. Cookies are small strings of text that web sites can send to your browser. Cookies cannot retrieve any other data from your hard drive or obtain your e-mail address. If you are simply browsing a Elm Tree Early Learning Centres informational site, a cookie may be used to identify your browser as one that has visited the site before. If you are providing personal information to Elm Tree Early Learning Centres (or receiving it from Elm Tree Early Learning Centres), Elm Tree Early Learning Centres request that you take all necessary steps to ensure that it is accurate, complete and up-to-date.